Brits still pushing marijuana/schizophrenia connection. The UK Telegraph reports that scientists at the Institute of Psychiatry in King's College London injected (yes, injected) 22 healthy men with high potency THC (not marijuana), and recorded the results. According to the leader of the study team, Dr. Paul Morrison, "These findings confirm that THC can induce a transient acute psychological reaction in psychiatrically well individuals." The Telegraph article said the researchers found that the "extent of psychotic reaction" was not related to "the degree of anxiety or cognitive impairment" in the men. Well, no. Observant readers will no doubt find all of this familiar: More than a year ago, a national hysteria over “skunk” cannabis was sparked in Great Britain when the University College of London produced a study purporting to show that strong pot was literally driving people crazy. The lunacy peaked with Prime Minister Brown’s description of new strains of cannabis as 'lethal.' At the time, the London Guardian reported that "Whitehall's own panel of experts has concluded that increased marijuana use has not been matched by a corresponding rise in mental illness." Against the advice of her own drug advisers, then-Home Secretary Jacqui Smith restored cannabis from class C to the “harder” class B status because of mental health concerns. British health authorities maintained that "skunk" cannabis was linked to the onset of schizophrenia. Since no one knows what, exactly, causes schizophrenia, and since recent findings continue to point toward genetic causes, this was a triply astonishing claim. With the latest report, King’s College has once again proven that if you inject someone with massive doses of THC, he or she will find the experience dramatically unpleasant. So do monkeys. Years ago, when researchers injected test monkeys with synthetic THC approximately one hundred times more powerful than the naturally occurring substance, the monkeys fell down and didn’t move. This was dramatic proof of... nothing in particular. But it was sensational and it made headlines. Meanwhile, the solid fact that a minority of marijuana users experience strong withdrawal symptoms when they abstain—an important and verifiable scientific finding—remains largely unknown to the general public. 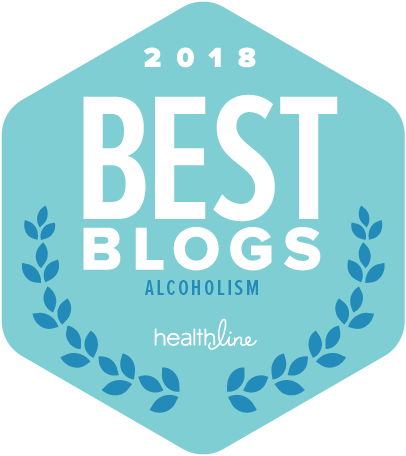 "the solid fact that a minority of marijuana users experience strong withdrawal symptoms when they abstain—an important and verifiable scientific finding—remains largely unknown to the general public". As someone with an MSc in Neuroscience from the IOP, and who read extensively into cannabis and schizophrenia while I was studying, I think you need to be more careful when considering the science of schizophrenia and cannabis. I heard a first hand account from a participant in a study in which THC was administered which involved very disturbing paranoid hallucinations. 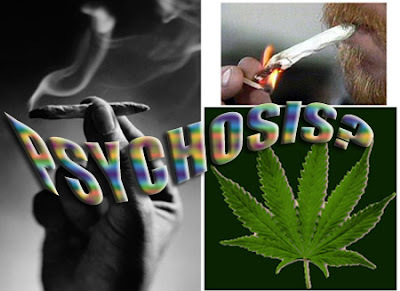 A lot of the reading I have done links cannabis with various biological markers of psychosis and the epidemiological research hints towards heavy cannabis use in adolescence increasing risk of schizophrenia in adulthood. The research does not mean that cannabis at normal intake levels can induce psychosis in everyone. But it is further evidence that cannabis is an environmental factor that can trigger psychosis in the gentically vulnerable, perhaps in combination with other environmental stresses. This is certainly no reason to make cannabis a more illicit drug. There would I hope be far less risk of psychosis if a cannabis user could discuss their experiences and use with a trained pharmacist with a view to finding a strain of the plant that they could smoke safely. If you think there is no link between cannabis and psychosis I fear it is you that is clinging to a myth. "But it is further evidence that cannabis is an environmental factor that can trigger psychosis in the gentically vulnerable, perhaps in combination with other environmental stresses." I couldn't agree more--and if the public and political argument was couched in those terms, I wouldn't have drawn attention to the broad and unsupported nature of the claims being printed in the British media. Ah, I'm tired of seeing companies constantly debunking marijuana. Yes, its not GOOD for you but not as addictive as the habits that cigarette smokers and alcoholics develop. Also, if I'm correct the study they conducted on the monkey's in the 80s was full of inaccuracies and a faulty control group.